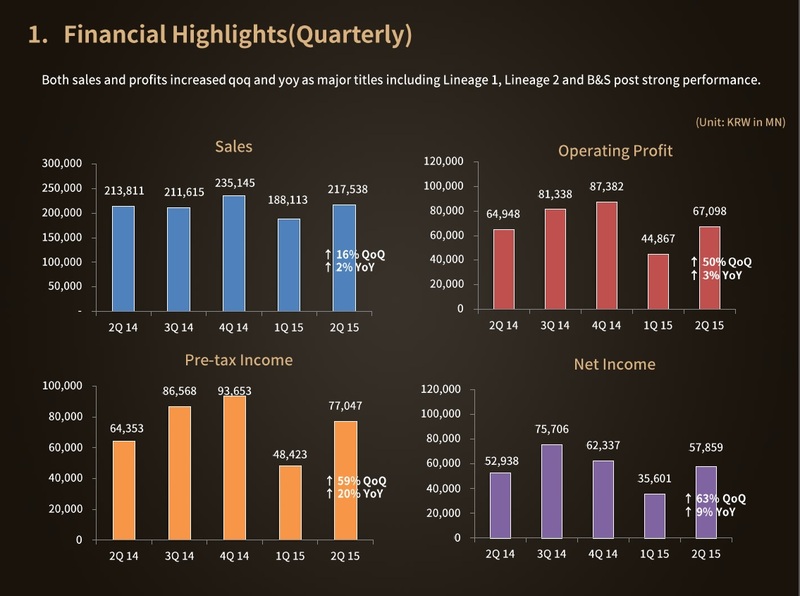 Take a look at NCSoft’s financial reports archive, and you’ll see that the previous quarter’s numbers have always been revealed about a month and a half into the next quarter. So it comes as a bit of a surprise to see the Q2 2015 — covering April, May, and June — to come out before the end of July. Maybe that’s because NCSoft wanted to get all the good news out, because after a disappointing first quarter, nearly everything is up, up, up! …except WildStar. The soon-to-be-F2P MMO didn’t drop as precipitously as it had in previous quarters, declining just 20%, from 2.593 billion Korean won (KRW) to 2.075 bKRW. It goes free-to-play this month, and we’ll get a chance to see first-hand just how much that turns it around. What are your thoughts upon seeing the latest NCSoft financial report? Should have not even bothered with Wildstar. They should have gotten Blade and Soul over here quicker seeing as most that want to play it are playing on the KR, CN or TW servers now. I see no point in even bothering with the US version of BnS now that Im capped on the CN version and thats the mentality of most in our guild. would be great to play blade and soul and wildstar, I just wish more online games supported gamepad/controllers, i imagine many people grew up playing games on consoles and would prefer that to keyboard and mouse. having the option could only increase the number of players, right? 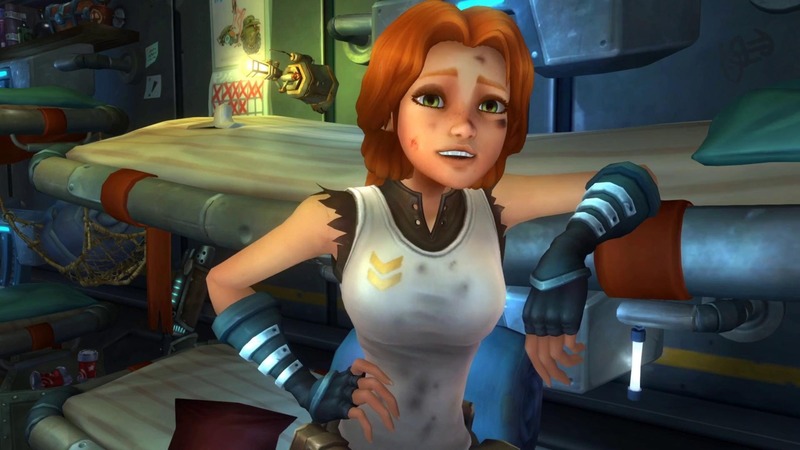 Man I really wanted wildstar to do well :\ It definitely had alot going for it but damn did they release some questionably incomplete content and horribly worked systems (stats and raid progression) which im sure they sorta addressed by now. I highly reccomend people try it when it goes free to play tho. Its a pretty massive game and one of the few Ive played in awhile that actually immersive. To be honest the limits they impose are kinda stupid and if they remove some of them could change fore the better. Like really 3 dam slots in the auction house thats just silly.